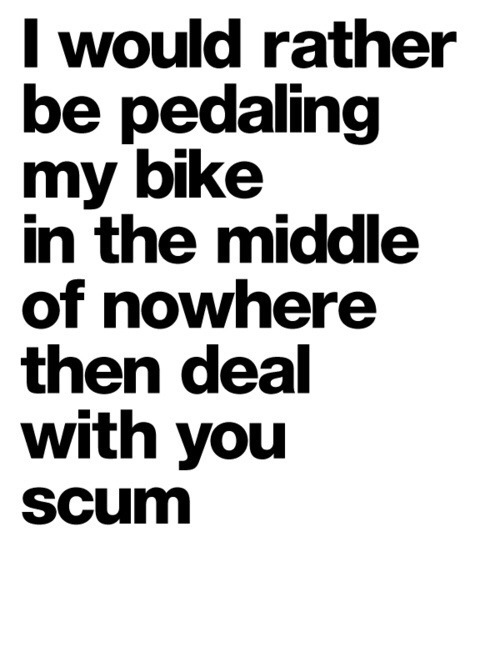 With the ongoing on-road and online aggravation, media sensationalism and pointlessly exhausting debate over bike rego, this quote quite often rings true at the moment. Sigh. Which race would YOU rather win?